This book has been written for students on electrical engineering courses who don’t necessarily possess prior knowledge of electrical circuits. 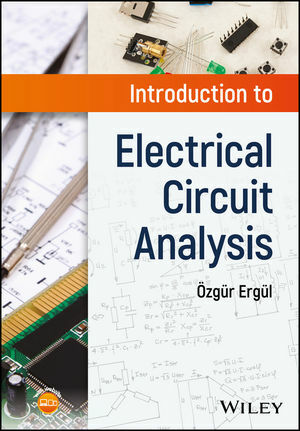 Based on the author’s own teaching experience, it covers the analysis of simple electrical circuits consisting of a few essential components using fundamental and well-known methods and techniques. Although the above content has been included in other circuit analysis books, this one aims at teaching young engineers not only from electrical and electronics engineering, but also from other areas, such as mechanical engineering, aerospace engineering, mining engineering, and chemical engineering, with unique pedagogical features such as a puzzle-like approach and negative-case examples (such as the unique “When Things Go Wrong…” section at the end of each chapter). Believing that the traditional texts in this area can be overwhelming for beginners, the author approaches his subject by providing numerous examples for the student to solve and practice before learning more complicated components and circuits. These exercises and problems will provide instructors with in-class activities and tutorials, thus establishing this book as the perfect complement to the more traditional texts.